I’m a special education teacher. At a meeting today, our sped director told us that “parents are not a part of the IEP Team.” The director indicated that implementing an IEP requires the parents’ consent although they are not members of the IEP team. Can you clarify this? Parents are and always have been members of the IEP team. I can’t imagine why your sped director would tell teachers that parents are not members of the IEP team, but parents have to provide consent to the IEP. If parents aren’t involved in developing the IEP as members of the team, how would they give consent? The sped director HAS to know this. BUT you and your fellow teachers . . . . . . need to know how to find answers to your questions in the federal law and regulations. If you don’t know how to find answers, you are at the mercy of others for information. 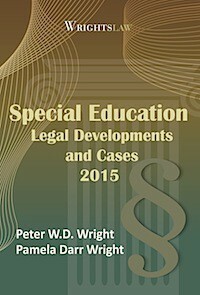 Do you have a copy of the Individuals with Disabilities Education Act (IDEA)? As a special education teacher, you should. The law about IEPs is in Section 1414(d). 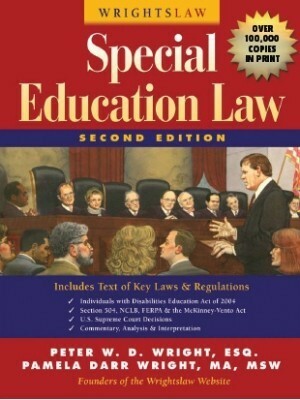 If you have a copy of Wrightslaw: Special Education Law, turn to page 101. You’ll see (B) Individualized Education Team midway down the page in bold type. Parents are listed first. The federal regulations about IEPs are on pages 245-251. Required members of the IEP team are listed on pages 246-247. Again, parents are listed first. When you have to deal with a situation like this, we recommend that you use the “Columbo Approach.” It goes like this – “I’m confused … I don’t understand … it says right here that … ” (as you point to the relevant text in the statute or regulations). Of course (like Miss Manners), you are polite. You will be in a stronger position if you have the law book in hand, relevant portions of the law highlighted, and sticky notes marking the pages. If you do this, you won’t need to say much (except “I’m confused …”). The law will speak for itself. Your experience shows why it’s so important for teachers (and parents) to know how to find answers to questions in the law on their own. If you can’t do this, you’ll rely on what others tell you. As you’ve learned, they may be dead wrong. 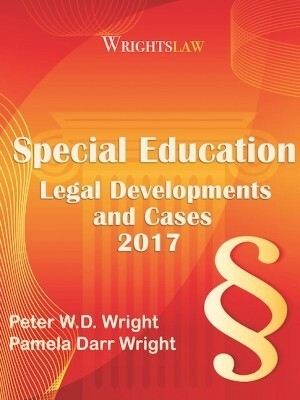 This entry was posted in IDEA 2004, IEPs, Special Ed Law, Special Education Regulations, Strategies and tagged IEP Team, IEPs, Ms Manners, Parent Rights, Special Ed, Special Education Regulations, Strategies by Wrightslaw. Bookmark the permalink. Certainly parents are part of the team. In our school district, it is my understanding that on an INITIAL evaluation, you cannot proceed with services without parental consent. 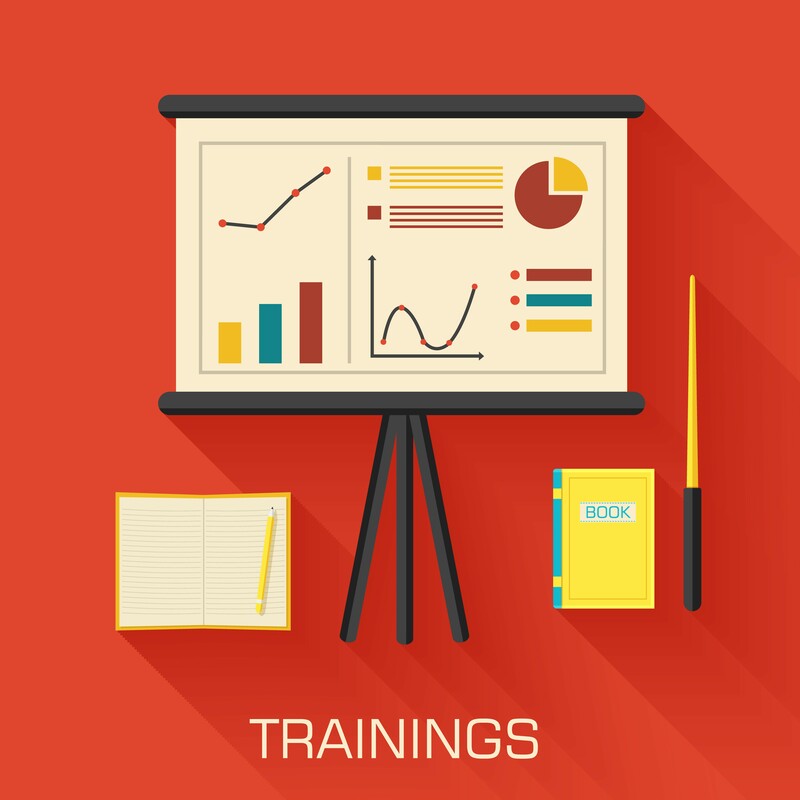 After the INITIAL evaluation, you show 3 documented efforts to ensure participation in the IEP process. There are parents who for various reasons may not attend IEP meetings ( transportation, illness, lack of interests, etc). I’ve even had a parent to tell me that he does not attend IEP meetings because he felt intimidated by the school staff. The invitation was still extended and his intimidation was addressed with the staff. It was a matter of “those big words” being used during the meeting. Parental participation is a critical component of the IEP formulation process. 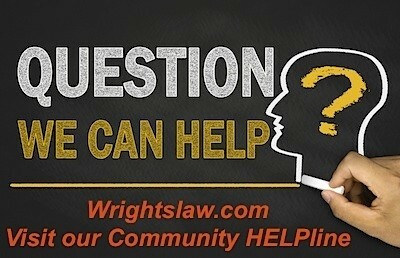 My client had a case before the Ninth Circuit Court of Appeals, which emphasized the importance of such participation. It is Doug C v. Department of Education, 720 F.3d 1028 (9th Cir. 2013), and it is summarized at http://www.SpEdAdv.com. The full text of the decision is on the Ninth Circuit’s website. Hope this helps some parents out there. Have a Court Order requiring parent to release information on school and Medical, Divorced. Discovered School had been holding IEP meetings for two children since 2015. I had never been allowed to participate in an IEP. When I requested, was told I could participate by phone, then was denied as other parent would not allow. Never given an invitation. School will not release records. School indicated Mother placed a note in school files saying not to give father information. At my son’s eligibility and IEP meeting, we did the eligibility and agreed on accommodations, but time was running short so the school said they would finish up the paperwork and send me the final paperwork for me to review via email, which they did. I reviewed it and emailed back a request for one specific addition on the accommodations. They emailed me back indicating they added it. I looked at the part they said they would add, and they did. BUT, I didn’t find out until later that they secretly changed two other items at that same time without telling me. this was something we did not agree to at the original meeting and something they didn’t tell me they changed when they sent the ‘revised’ copy. I signed it, believing them that they only added the one change that I asked for. What is my recourse? call a meeting and bring the changes to their attention. Also write it in an e-mail that way you have documentation. If it does not change, I would file a formal complaint with your state office. I was just informed my son has an IEP that I have never known about or had a meeting over. Can someone help me since I am angry but did ask when and how this could happen without my consent or knowledge to so far get nothing in return. My Special Education VP says that we have to hold separate meetings for reevaluation, eligibility and IEP or we’re out of compliance. I pointed out that both federal and our state law says that the educational agency should consolidate meetings to the extent possible. Moreover, one of the special education teachers who was once our special education department chairperson said that if we bring a draft of the IEP to the eligibility meeting then we’re predetermining special education eligibility. I politely countered that no, we’re preparing for all possible outcomes and that it’s only a draft. I live in the 9th Circuit Court of Appeals jurisdiction. Has there been recent court findings to cause our district to direct that we hold distinct meetings for each step in the reevaluation process? I’m confused. My sp. Ed. chair just sent an email (school ended last Friday) requesting ANY 5th grade teacher to sit in on an IEP meeting for a student from this school year. I didn’t teach the child and do not know her. Is this legal? Shouldn’t the team members be directly responsible for the students instruction? Could you please tell me if a person can play two roles at a PPT meeting. For example, if your are the evaluator (school psychologist) can you also fill the role of the administrator at a PPT? Thanks you for you prompt attention to this matter. 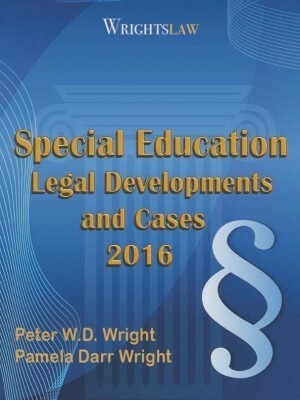 Federal Regs – §300.321, IDEA 1414(d), or to Chapter 2 in Wrightslaw: All About IEPs. The school district representative must be an individual who is knowledgeable about the general education curriculum and resources available in the district. The district representative must be qualified to provide special education services or supervise special education teachers. I echo all the frustrations everyone has voiced previously. Here in Kentucky parents may technically be members of the IEP team but they are NOT full team members. Even before the meeting starts the admins already have the outcome they want in mind and that’s what they get. Decisions are a “team” decisions, meaning that what parents say and think doesn’t matter because if other “team” members (teaches and admins) aren’t in agreement then it goes their way, not the parents way. It’s very frustrating and I’ve given up trying to negotiate with these people during the ARC meeting. Parents are included because it gives us the illusion of choice and involvement. If we disagree then they say “take it to a due process hearing” which sounds extremely overwhelming and I have not tried that yet. I’m in Florida. My autistic has shot back wards since he’s been in new school. I asked to go for in for a hour to observe and help them with my son, they said no because it disturbs the classroom. I asked to volunteer. They say no, they don’t need any volunteers. What can I do? We’ve moved to Florida from California. After the IEP meeting here, I said I would take the IEP home review it, sign in agreement, (or not) and return it. I was told NO parents don’t sign the IEP here. The district representative stood there in agreement. When I asked “why” I was told (again) parents don’t sign the IEP’s here….you might have to in CA but here parents don’t sign. Is this true- I can’t find anything, and the school district just repeats what they said at the meeting. Do they have to let me review and sign. In FL she’s doing work she did 2 years ago in CA, so her marks are good-and they’re trying to take her IEP away as they say her marks are good. My son is autistic and goes to an Ohio school they are thinking of changing his school schedule so that that he arrives an hour after the other kids. They say they can do this through his IEP but I don’t want his schedule changed. Can they change this without my permission? or my signing off on it through an IEP meeting. In Iowa, it’s NOT required for parents to consent to an IEP. Consent is given simply by fact that an IEP meeting occurred. Whatever the professionals with the most clout want to do vs. professionals (or parents) with lesser clout, is what gets done. The PTI, ASK Resource, says it’s not required in Iowa that the AEAs/LEAs follow IEP meeting requirements cuz culturally they don’t understand it here (such as that a copy of the evaluation needs to be at the meeting, or even that the parent needs to be notified whether it’s an IEP meeting or just a meeting even if the parent asks). If parents do “get their way” the underlying reality from SEA/LEA/AEA is “have it your way; you’ll pay!” And that’s what is made sure is done. Cohesive passive aggressive retaliation is rampant by the SEA/LEA/AEA -so lawsuits seldom happen. Yes, All comments are true and I have an audio hearing of the team saying because you were in attendance you were in agreement. Also, there had been voting at my meeting. The hearing officer would not let the audio be placed into evidence. The goals for my child are being executed at a four month level even though she is four. We are in limbo in litigation and no one is willing to fight for these kids. my child was diagnosed w/audiotory processing disorder, and also expressive/ perceptive speech delay. She’s in 7th grade now and the school has been disagreeing w/ me for what her needs are! These self contained classrooms are a joke. I believe that she isn’t challenged enough, and the work that is given in the lass is never consistent! We go from having spelling words to learn one week w/ no test, to lets not give spelling for 2 and half months. plus never a math review with a test! So sick of this! i want my daughterto be placed in a higher skilled class or taken out of district! Please help! I can’t stand IEP meeting, such a waste! Carla, Yes the school can do this however they must put in writing that they are doing this & why. 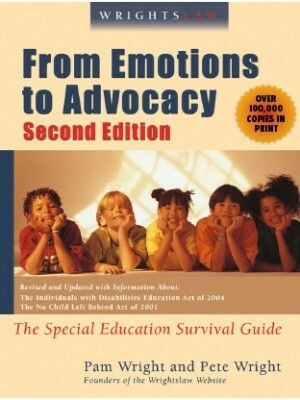 We had this happen to us & we never signed the IEP & they did move forward with it. We eventually got together to discuss the issues & came up with an agreement that we could sign the IEP. I was told that I did not have to sign my son’s IEP for the IEP to be executed. I fell sick the day of the IEP meeting and the school executed without me. This comment made me feel as though my input into the IEP process is not relevant. The School is in GA. Does an IEP have to have a goal for every need listed in an ETR? Can a school district implement a proposed IEP if one parent “accepts” the document BUT the other parent “rejects in full” and requests mediation? Parents are divorced and in their separation agreement a provision states, “decision-making process will be shared on all matters having a significant impact on the Children’s lives, including, but not limited to, their upbringing, education, psychological well-being, medical care… In the event that the parties are unable to agree upon any matter of importance to the rearing of the Children either party may petition a Court of competent jurisdiction.” And, “[i]n the event that the parties are unable to reach agreement with respect to the foregoing, the parties agree that they will defer to the appropriate professional, if applicable (i.e. doctor, dentist, teacher, etc.). Gloria – I am a parent of disabled children who went to an OH school. it was tough. 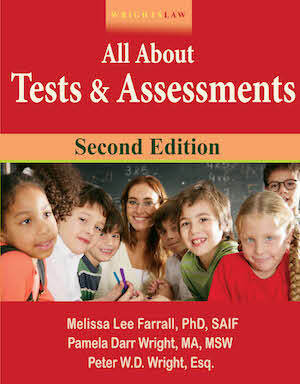 Have you requested a full MFE (Multifactored Evaluation) on your child. It is difficult to see what the issues may be without testing. Be sure to sign the school’s consent form & then they have 60 days for results. Request a copy of the results before the meeting & show the advocate & professional. If you disagree with results you can have an outside eval done at school’s expense. There is OHI (other health impaired) IEP. This is a different process but this is how I got my ADHD son on IEP. 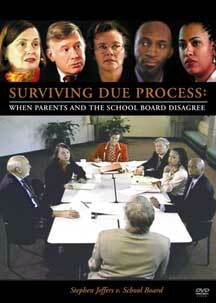 There are ways to deal with OH schools & it is to be a knowledgeable as possible. I always take a tape recorder to meetings & let them know. The story changes will go away if they know they are on tape. I’m having trouble with an Ohio School District. My child has disabilties and does not qualify for an IEP or 504 although medical professionals believe differently and I have mixed feelings about this as well. The district implemented interventions (fidgets etc…) without my knowledge, consent, and without an IEP or 504, can they do this? Plus when I meet with the school, their stories change on this matter and when an advocate and I met with the school, the school changed their story again and said only 1 intervention was used an eye contact w/ gesture. I have not previewed or obtained a copy of child’s records which should contain a document of interest so that I may dispute or possibly a right to due process etc… but with hiding/tampering how can I get some justice? Very long, complicated story but I need help. 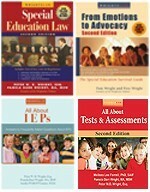 I was wondering if the wrights law book, contains info on iep’s at the junior high level, what a proper one should outline, and since each child is unique what i should except and not.???? So thanks so much for tackling issues so parents can understand the English hidden behind all the code language. Unbelievable that someone in this day and age could make such a comment! So many school districts are so used to being a bully to parents and even the kids as to have a long history of getting away with this type of behavior. The recommendation of how to handle this is spot on. I have being using the book referenced for some time now and it works well. When one parent disagrees with and IEP, can the other parent approve it anyway even when it is inadequate for the child? 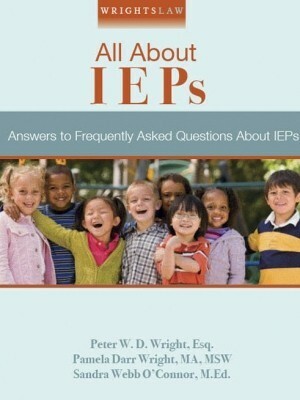 Can parents alone terminiate the IEP process .. Does IEP’s have an expiration? When if at all is an IEP out of compliance? Can a 504 plan be implemented without parents signature? Parent is rejecting the finding of the eligibility under a Neurological disability (sensory skills deficit and ADHD) but wants OT accommodations put in place (OT recommendations that were presented at the eligibility meeting). Parent is not accepting the fact that her child has ADHD and sensory skills deficits. Lynne, it sounds like an internal issue to me. The projector is a great idea and yes they can give you a DRAFT IEP. You can insist on it. I get a copy one week before the meeting and take a copy after the meeting just to be sure. I have a question about school personnel meeting prior to the IEP. At a recent IEP meeting, the regular ed teacher was so harsh that the sped teacher, myself (SLP) and the principal met very briefly to talk about the teacher’s unbelievable behavior. We have an upcoming eligibility meeting with the same student, same teacher and want to have a pre-meeting with the teacher to talk about how to properly behave in a meeting with parents, where a child is in earshot. I hadn’t considered that this could be a violation, but maybe it is. We haven’t met yet and the main reason for the meeting is to address the teacher’s inappropriate behavior during the previous meeting, not the components of the eligibility or IEP. It feels like this is an internal issue to the school and not an IEP meeting. Am I right or would it be a violation? A complaint I have is they now create the IEP at the meeting. That, in itself, is fine. It’s how they do it – the sped teacher typing on her laptop without anyone else privy to what’s being typed. I have asked for drafts in advance and they say they don’t have any. I intend to ask for a projector this year, so everyone can see what we are creating.